Notes: Figures are from 2014. The Albuquerque, Nashville, and Oklahoma City area offices oversee facilities in Texas. 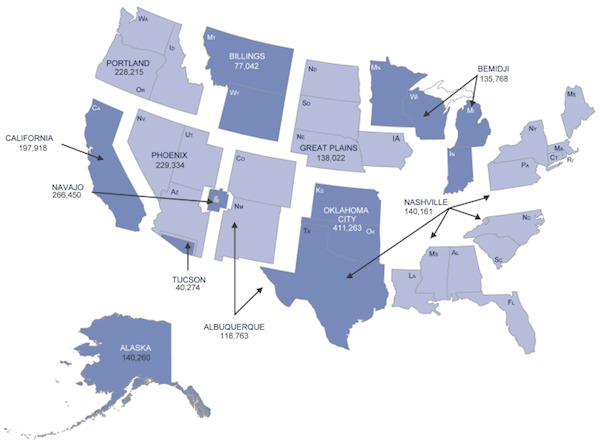 The Alaska, California, and Tucson areas do not have any federally operated IHS facilities. Data Source: Indian Health Service; Map Resources (map). This entry was posted in Medicine and Society Data Watch on April 5, 2017 by Genevra Pittman.